It’s one of the most frequently used greetings in Korea, where the staple has long been considered a synonym for a meal. 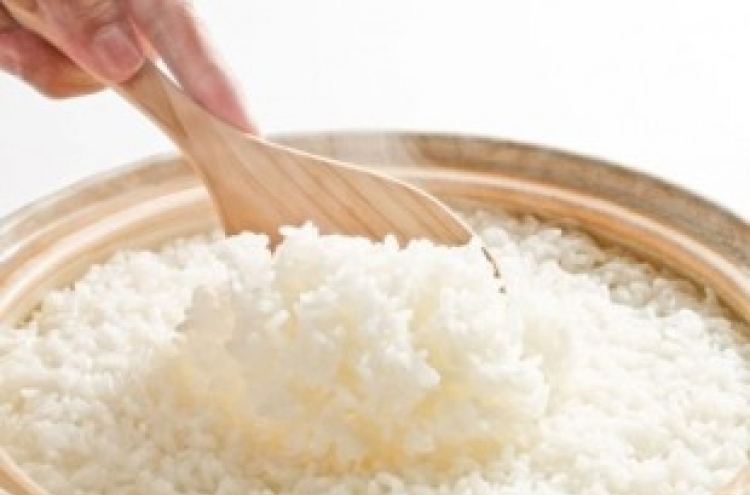 Even amid the rise of western food and snacks, rice continued to be appreciated as the prime source of sustenance and a symbol of the country’s traditional food legacy. But recent health trends increasingly consider rice -- and carbohydrates in general -- to be the main culprit of obesity and all sorts of other modern lifestyle diseases. According to the European Nutrition Conference report 2018, the average carbohydrate intake ratio for South Koreans last year stood at 66 percent, slightly over the 55-65 percent range recommended by the Korea Nutrition Society and the Ministry of Health of Welfare. This is higher than the 55 percent average for Americans, reflecting Korea’s rice-dependent food culture. But the average amount of rice the average Korean consumes has been steadily declining, to 61.8 kilograms of rice in a year as of 2017, down from 126.2 kg in 1987, according to Statistics Korea. The trend comes in light of repeated warnings against eating too many carbs. 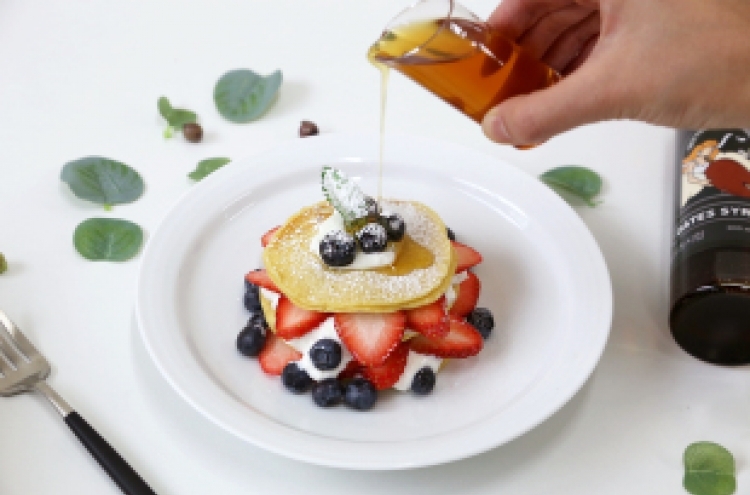 “The restriction of carbohydrate intake is crucial in preventing metabolic syndromes,” said Kwon Yu-jin, family medicine doctor at Yongin Severance Hospital. Metabolic syndrome is a clustering of a number of so-called lifestyle diseases such as abdominal obesity, high blood pressure, and high blood sugar. A research by James Gangwisch, a psychiatrist at Columbia University, even claims that an excessive intake of carbohydrates -- or other substances with high glycemic index -- significantly increases the risk of depression. This mounting sense of alert concerning carbohydrates, especially the refined carbohydrates often found in processed food, has led to a boom in the low carb high fat, or LCHF dieting in recent years. LCHF, which is similar to the famous yet controversial Atkins diet, claims to facilitate the body’s use of fat reserves by restricting carbohydrate intake and consequently lowering insulin levels. In Korea, an MBC documentary in 2016 further fanned the public’s interest in LCHF diets. The program titled “False Charges Against Fat” immediately prompted interest in high-fat diet foods such as bulletproof coffee -- a purportedly fat-burning drink made of coffee, butter and oil. “It seems that the low-carb concept gained all the more popularity in Korea, where people find it difficult to escape the conventional high-carb meals, especially when eating out,” said Kwon. The new anti-carb sentiment, however, has not been sufficient to reshape the country’s eating habits altogether. Park Ji-young, 33, who recently returned home from a yearslong stay in Canada, claimed that Korea’s average food culture is still very much dependent on carbohydrates. “It is so easy for an urban office worker to end up with rice or noodles, along with high-sodium soup and side dishes, as there are relatively few stores or restaurants that offer protein-centered meals,” she said. One of the positive aspects of the LCHF trend is that convenience stores started to expand the range of non-carb-centric foods such as half-boiled eggs, bananas and individually packed chicken breasts, she added. It will nevertheless take more time for the Korean food culture to evolve, observers noted. “A French Catholic priest who arrived here during the Joseon Dynasty in the late 19th century in his memoir recalled being startled by common people eating up to five bowls of rice at a sitting,” said food columnist Hwang Gyo-ik. Such rice binges, however, were actually a result of food scarcity, Hwang explained. This subconscious appreciation for rice persists to the modern day, in an apparent contrast to its craze for diet and health. “Despite the ongoing disputes, I believe that efforts to review and redefine carbohydrates in the nutritional perspective is meaningful for Korean society,” said Kim Young-sun, internal medicine doctor at Seoul National University Hospital.